Today is Kangaroo Care Awareness Day, a day that’s near and dear to us, because it celebrates and highlights the practice of Kangaroo Care (KC), or Skin-to-Skin contact. We at NüRoo are extremely passionate about the practice, science and benefits of KC. So passionate about it, that we truly geek out and could talk about it all day! But it wasn’t always that way…. We, Daniela + Hope, the co-founders of NüRoo, both had children before learning the importance of Kangaroo Care. Sure, we had heard of Skin-to-Skin contact and knew that it was good for mom and baby, but that was the extent of what we knew. It wasn’t until subsequent pregnancies, when our nurse midwives told us about the long-term benefits of the practice, that we truly understood what KC was all about. Our nurses explained that Kangaroo Care (KC) was a very specific way of holding baby, wearing only a diaper, vertically on mom’s bare chest. Continuous skin-to-skin contact stimulates a nerve in both mom and baby, sending a message to the brain to produce a hormonal cascade that delivers a whole ton of benefits. We were AMAZED to learn that an uninterrupted 60 minutes of Kangaroo Care would accelerate baby’s brain development, reduce stress and crying, regulate baby’s body temperature, heart rate and breathing; increase their quality of sleep; enhance their immune system; stimulate digestion and weight gain; and increase breastfeeding behavior. Equally important, the practice offered benefits for mom that include a decreased risk of postpartum depression; increased milk production; reduction in postpartum bleeding, cortisol (stress) levels, and blood pressure; increased pain tolerance; and higher levels of psychological well-being. Having received a taste of the science behind the practice, how could we not give and receive all those amazing benefits simply by cuddling our newborn?! Each of us left the hospital bound and determined to practice KC with our babies, for at least an hour a day. But with active families, including toddlers, running around at home, who had an uninterrupted hour, much less 10 minutes, to lay with baby skin-to-skin in bed or on the couch? And so, the hunt was on for a product that allowed us to wear baby skin-to-skin while we were on our feet, hands-free, doing what we needed to do. And when we never found such a product out there, we decided to invent it ourselves, and the NüRoo Pocket was born! Seeing the impact Kangaroo Care had on our babies charged and empowered us to advocate for this incredible practice for ALL moms and babies. Hungry to learn as much as we could, we went on to become certified by the US Institute for Kangaroo Care and continue to educate providers and moms alike on the many benefits of KC that extend far beyond bonding. If our story can leave you with one lasting though, may it be that skin-to-skin is not just a hospital based practice. Over 40 years of research proves that the best place for you and your baby to spend the fourth trimester and beyond, is together skin-to-skin! Learn more about the NüRoo Pocket and the science behind the practice at nuroobaby.com. Daniela + Hope are giving away 1 NüRoo Pockets Babywearing Shirt to 12 different winners to encourage and support Kangaroo Care Awareness Day and skin-to-skin time for moms and babies. The NüRoo® Pocket is a babywearing shirt that offers full coverage and mobility for moms practicing skin-to-skin contact with their baby. It also doubles as a hands-free carrier! Extremely easy to get baby in and out of, without wrapping, tying or knotting. The ‘cross and hug’ closures provide a custom fit as your body changes and your baby grows. The fabric is super soft, breathable, moisture-wicking and offers just the right amount of compression to ensure proper position and continued support for both mom and baby. It adheres to the sling carrier standards, which means it’s been tested up to 45 pounds. A 2014 Editor’s Pick from What to Expecting When You’re Expecting! *This giveaway is open to winners in the USA only. New TLB sponsor Kangaroo Care is offering a lovely giveaway of a teething ring and necklace for mom. 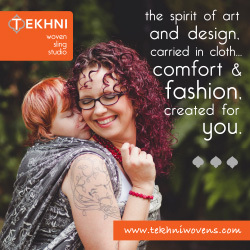 Beautiful and original pieces for mom and baby, Kangaroo Care has something for everyone. Varja, the mom behind Kangaroo Care, took the time to answer some questions about her company and share her favorite breastfeeding tip. This experienced breastfeeding mom of 2 opens up about her inspiration and breastfeeding experience, supporting Leakies, and giving one lucky reader two of her lovely handmade items. TLB: How did Kangaroo Care come to be, what was your inspiration? 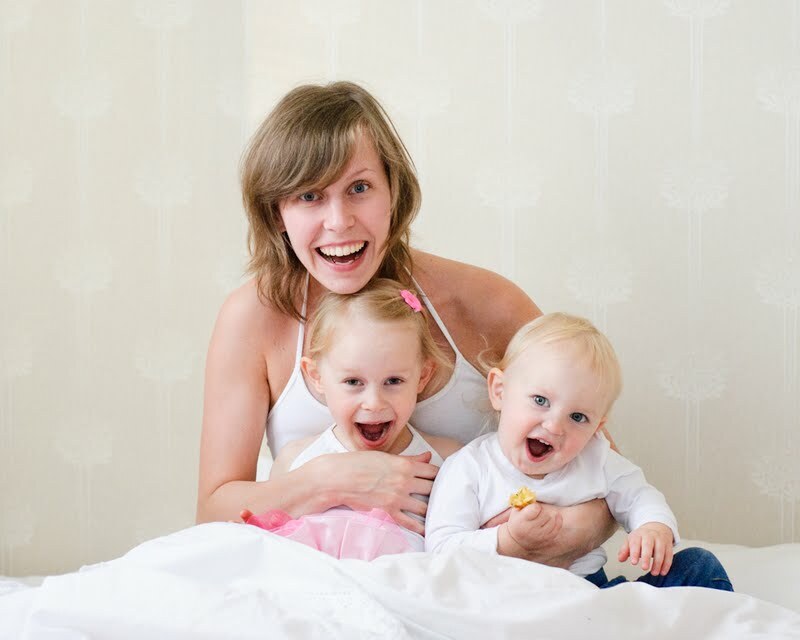 Varja: I started making breastfeeding & babywearing necklaces when my daughter was born in August 2008, but the idea to create KangarooCare brand and shop came only 2 years later, when I was pregnant with my son. My kids are my endless inspiration! TLB: Where are you located? Varja: I am located in a very “exotic” and very tiny country called Estonia, which is not Russia! 🙂 It’s an independent country and a part of the European Union. TLB: How are your products made and from what materials? Varja: I am using ONLY natural materials for making everything you see in my shop – apple and juniper wood beads, cotton yarn, 100% silk for the cords, etc. The beads that I use were made here in Estonia specially for KangarooCare and you won’t find products made out of these beads anywhere else! TLB: Does your family help with your company at all? Varja: Our family always tries to help everyone who needs help. TLB: Did you breastfeed your children and if so, for how long? Varja: Simona will soon be 4 years old and Jakob is 1 year and 8 months old, and I still breastfeed them both. TLB: What’s your favorite breastfeeding tip? Varja: Hot tea, sweet cake or a bar of chocolate, a comfortable chair and a bunch of pillows always help to normalize breastfeeding at the beginning! Varja is giving away a Kangaroo Care wood and crochet bead rainbow teething ring and winner’s choice of any 1 necklace. Good luck to everyone! Please use the widget below to be entered and have fun browsing Kangaroo Care’s site. The giveaway is open from July 3, 2012 to July 10, 2012. A big thanks to Varja for her support of TLB and all breastfeeding women, be sure to visit their Facebook page and thank them for their support of TLB and this giveaway opportunity.